While Aishwarya Rai Bachchan played the female lead in Robot, she got replaced by Amy Jackson in 2.0. Sequel of Robot, the movie 2.0, was released on November 29. Along with Rajinikanth and Akshay Kumar, the film also features Amy Jackson, who plays the character of a humanoid robot. While Aishwarya Rai Bachchan had played the female lead in Robot, she got replaced by Amy in 2.0. Hence, a lot of comparisons are bound to happen between the two actresses. Although the duo's characters are completely different from each other, it is pertinent to analyse whose role impressed the audience more. Aishwarya certainly had much more screen presence in Robot than what Amy has in 2.0. In fact, the entire storyline of the first movie revolved around the character of Aishwarya as Chitti had turned against his master Vaseegaran in order to capture Sana (Aishwarya's character). However, Amy, playing the character of Nila (a humanoid robot), has very minimal screen presence in 2.0. She also does not have too many dialogues as it is all in all Akshay and Rajni show. Nonetheless, Amy has a couple of scenes that add value to the plot and her role. For instance, in one scene she saves a dying Chiiti by giving him her "heart", and then she was the one who revives Chitti 2.0 to fight against the antagonist. Earlier, director Shankar had said that he could not take Aishwarya on board as 2.0 has a completely different storyline which demanded different characters and star cast. Nonetheless, one cannot deny the fact that Aishwarya's role in Robot was much more significant than what Amy has in 2.0, at least in terms of screen presence. 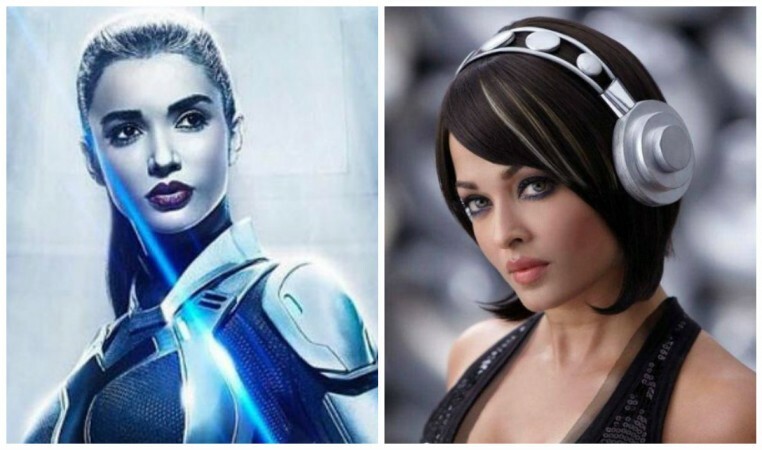 So, vote below and let us know who did you like more - Amy Jackson in 2.0 or Aishwarya Rai Bachchan in Robot?